As sports fan around the country prepared to watch coverage of Super Bowl 50, the athletes of the Denver Broncos and the Carolina Panthers had to prepare themselves on a whole other level. With this year’s Super Bowl expected to be the most watched event in television history, all eyes were on these athletes as they competed in the most important game of the season. Of course, this fame and notoriety comes with a high level of pressure. Even the best athletes tend to succumb to anxiety during these career-changing games. 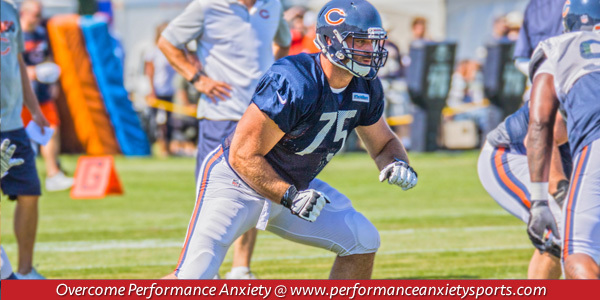 Even those athletes who do not find themselves facing anxiety during the regular season may find themselves apprehensive when the stakes are raised. In order to overcome this anxiety and perform at their best, it is important for athletes to maintain a routine. “Doing things the same every day: studying the playbook, running through drills, going home and finding a way of relaxing and decompressing, and staying in the moment rather than worrying about what might happen during the game or what people might think of them, are important,” said Charlie Maher, a sports psychologist, who has consulted teams in the NBA, NFL, and MLB over the course of his career. In maintaining a routine, athletes will find it easier to focus on the task at hand than to worry about the future. In maintaining a routine, athletes can ensure that they get the training and preparedness necessary to succeed on game day. While maintaining a routine is crucial to player success, practicing mindfulness and self-awareness is another equally important component of success. “Self awareness and being able to recognize where they need to be to play well. Some need to be really hyped up, some need to be really calm, and some in between,” sports psychologist Aoyagi said. In order to remain focused and mindful both in preparation for and during the Super Bowl, sports psychologist recommended that athletes use a few key techniques in order to combat the anxiety and distractions that come with playing in the biggest sporting event of the year. Use relaxation techniques, including breathing exercises to relax the body. Athletes also need to let go of the expectations they feel about performing great and winning. Practice mindfulness by recognizing distractibility cues and allowing them to fade out while focusing only on the task at hand. Use positive self-talk in order to raise confidence. Do not focus on previous mistakes but focus your entire energy on success in the present. 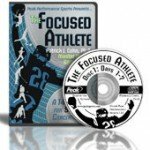 Learn about all my tips for focusing under pressure with The Focused Athlete CD and Workbook program…. Improve Your Focus for Sports Today! The Focused Athlete CD program helps athletes boost concentration, eliminate distractions, and consistently improve sports performance.